I read this article and found it very interesting, thought it might be something for you. 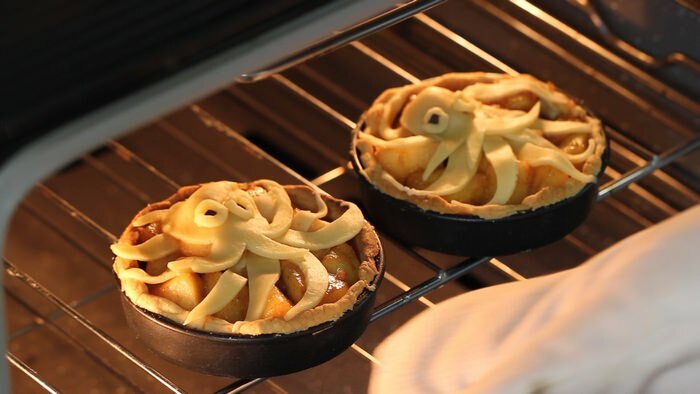 The article is called Halloween Caramel Apple Pie Recipe and is located at http://eugeniekitchen.com/halloween-caramel-apple-pie/. Hi, I am back. I’d been so occupied. Being a Maltese mom feels like a full-time job. 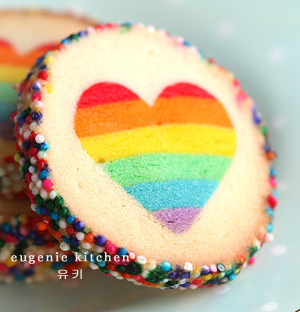 Still I am busy but I believe that Eugenie Kitchen should be up and running at the same time. Today I am making easy Halloween caramel apple pie. Basically it’s an apple pie. 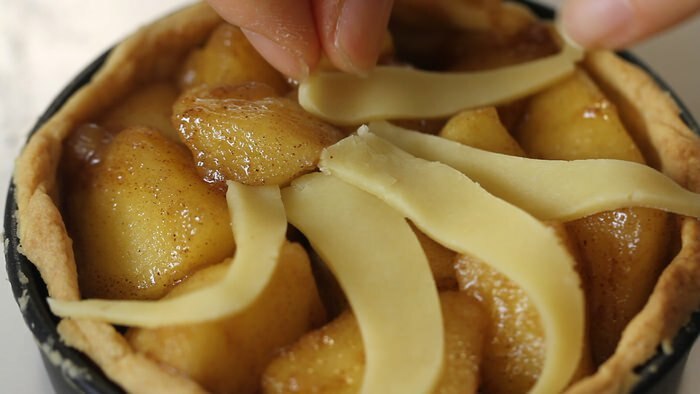 For today’s pie I will add half-cooked caramelized apple and French caramel in the blind baked pie crust and decorate with pie dough. First, make pie crust. I am using eggless crust today. Fraiser twice. And roll out with a rolling pin. Cut the dough and line (the pan). Press the corner evenly with a small ball of dough. Push extra dough inside of the rim, then roll the pin to cut off the excess. Now prick the bottom with a fork. And with aluminum foil or parchment paper, line the pastry shell and fill it with baking beans or rice. Then bake for 20 minutes in the oven preheated at 360 degrees F. (180 C.). Meanwhile, in a large thick-bottom sauce pan, add in 1 tablespoon of unsalted butter and let it melt over medium heat. 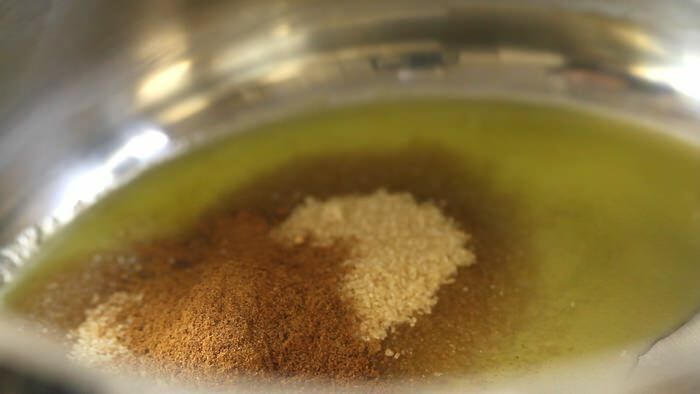 Then add in 2 tablespoons of light brown sugar, 1/2 teaspoon of ground cinnamon, and 2 apples, diced. I don’t use a lot of butter and sugar for this recipe. So, I will not drain caramelized apple today. Stir with a wooden stick occasionally. And this recipe is for only 2 individual pies. 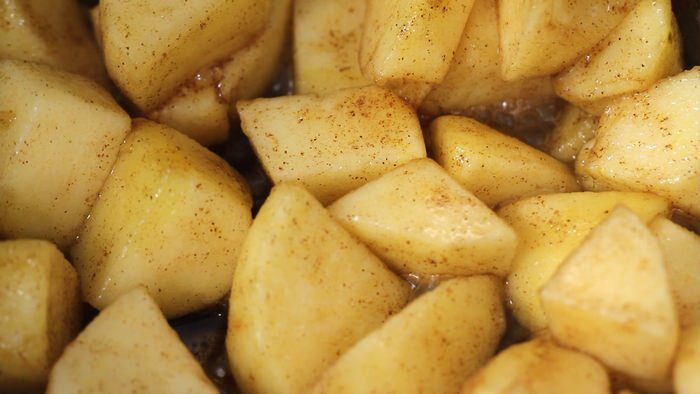 Cook for about 8 minutes, or until the apple is tender. And let cool. And get the pie crust out of oven and let cool. Today I don’t dry the pie crust. 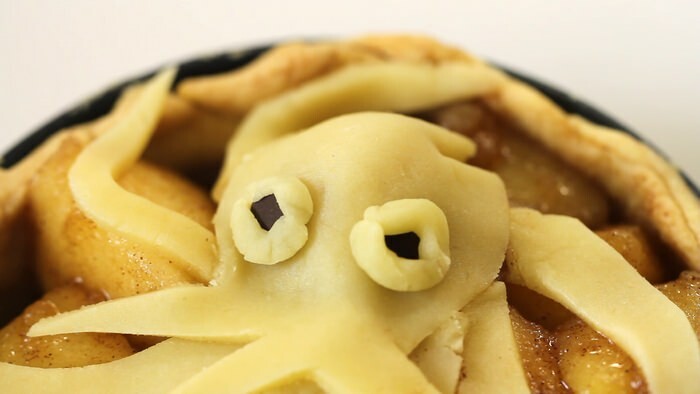 Now make octopus with the remaining pie dough: octopus head and legs. Then add in 1 tablespoon of caramel in the bottom of pie crust. I have French salted butter caramel recipe in a separate video. And fill the crust with caramelized apple. Then arrange octopus pieces on top. Definitely the scarier, the better for Halloween. Bake for another 20 minutes at 360 degrees F. (180 C.). 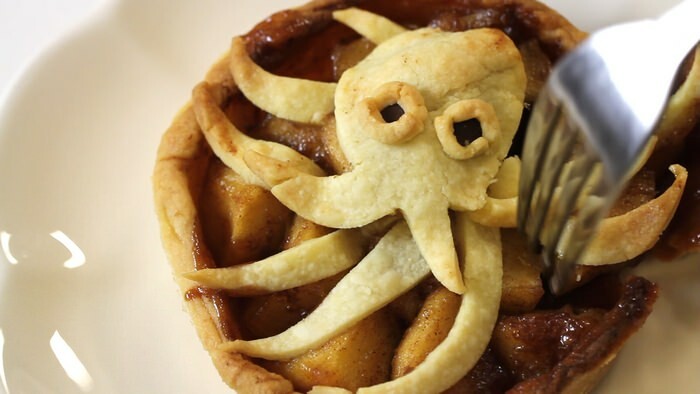 The octopus decoration should be cooked and golden brown. Voila… these are beautiful warm caramel apple pies. A must for this season. Bon appetit. This is heavenly. Apple caramel is good but caramelized apple with salted butter caramel in pie crust is simply the best! 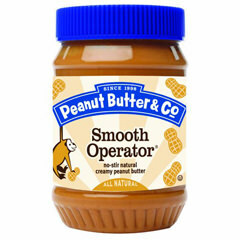 More caramel, any one? If you haven’t tried caramel apple pie, definitely you should try for Halloween or Thanksgiving this year. Happy Halloween! Bye!